Where did you grow up and how did you first get into craft beer? I grew up in San Diego. It was just starting to become the amazing beer scene that it is today when I left to go to college, I’m stoked that I get to visit so often and be a part of the beer community there. My stepdad, Greg, and my Opa, Bob, were into (then called) “microbrews”. They’d bring home all kinds of cool beers, Pete’s became a staple. Funny side story is I’ve had the opportunity to become friends with Pete Slosberg of “Pete’s” fame, I cut my teeth on that beer. Moving on to college and beyond I always loved to sample the “local beers” wherever I would travel. My first Maui vacation back in 2001 I fell in love with Hawaii and by 2003 I was trying to figure out how to move and open a brewery to bring authentic Hawaiian beer to Maui. What lead you to Maui and starting Maui Brewing Company? I was in the financial field and fell a bit out of love with what I did. I had always loved craft beer and it just made sense. Seeing that Hawaii was lacking a truly authentic locally produced beer I thought it’d be a good place to start. What are some of the biggest milestones the company has reached since first opening? As any business owner knows, just opening was quite a challenge. We could tell you some stories about how tough it was in the beginning…definitely don’t want to do that again. Opening the 1st production facility, canning, winning WBC and GABF medals, being asked to brew for CAMRA in England, representing Hawaii in DC, working with our legislators to move forward legislation that opens up opportunity for more craft producers. Every day is a new milestone at times, love my job. MBC has had incredible success, both winning medals and business wise. What do you feel are the keys to your success? Work, good old fashioned hard work. Growing with the business personally, learning to delegate and hiring a great team. Our team is amazing. I truly could not do what I do each day if it wasn’t for the love and support of the 70 other team members. There are times where you’ve got to put yourself first but more times than not you come last and knowing the difference is important. We have a lot of fun doing what we do together and remembering that makes everything easier. I have a very clear vision of where we are going as a company and staying focused is important as well, do what it takes is a mantra that runs through my head often. You’re in the middle of building a brand new brewing facility in Kihei that will greatly increase the amount of beer you can produce. What do craft beer fans in Hawaii have to look forward to once you get open? For one, no more out of stocks! We plan to add some new limited releases and we’re looking into a large can format for some special releases as well. We’ll be announcing a campaign soon for our craft distillery as well. Act 211 was just signed into law by Governor Abercrombie at the new site on Saturday and that opens up the industry for some more options. And a gluten-free option will be coming soon too….not a gluten-free beer though. Will we see some of the pub/draft only beers make it into cans once the new brewery opens up? Yes, all of the above. 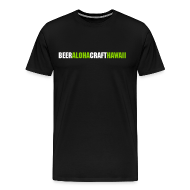 One of the fun parts is the innovation, developing a new product, having a beer with my team and coming up with new ideas together will no doubt lead to a bunch of new things for the craft beverage fans here in Hawaii and beyond. You’re very passionate about using local ingredients in your beers and at your pub. Do you ever see the company owning a farm to grow more local produce like Stone has done in San Diego? I don’t see it right now, the major reason is I’m deep in a huge project so adding anything else seems daunting. Projects already on calendar keep us in construction through at least 2018. I would add though that it’s a possibility if the opportunity presents itself. Our support of local ag is a central principle to our foundation that will never change. I like to think that we know how to brew and create beverages, farming not so much so maybe we leave it to the experts. There are definitely crops I’d like to see more of and if we can work with a farmer to both our benefit I think that could be awesome. You’ve been incredibly active in helping write and change state laws and measures involving the brewing industry. What are some of the issues and bills that you are currently working on in 2014? Yeah, I have become more and more active as the years go on. Trust me I have a long way to go to really understand the process. I count some great producers among my friends and we see each other at events, call on each other, and generally stay in touch about issues that may need addressing to benefit our industry collectively. Oftentimes our growth has led to specific needs within the legislation. No craft brewery has ever existed here like ours so the laws were largely unnecessarily restrictive and didn’t support the creation or growth of our industry. The governor said it best on Saturday (I must paraphrase), ‘Hawaii has a vibrant food scene that people travel from all over the world to experience, our beer, wine, and spirits are very much a part of that’. This year we were successful in the passage of SB 3042 (now signed into law as Act 211). With Kihei opening soon, our production capacity will almost triple. This new law will have an enormous impact not just on Maui Brewing but all craft brewers, distillers, and vintners in the State. Until yesterday the brewpub license carried a maximum annual production limit of 30,000 barrels, we will surpass that volume in approximately 9 months in the new Kihei facility. This limit has now been removed and there is no limit on production. What brewer or brewery would you love to do a collaboration beer with and what special ingredient from Hawaii would you like to use in that beer? We just did a killer one with BrewDog for the show BrewDogs on the Esquire Network. That was a total blast, I’ve been friends with James for some time now so meeting Martin and brewing was awesome. I’d have to say Dale Katechis and his team at Oskar Blues. Dale was just over on Kauai and I’m bummed he was so close but couldn’t visit! I’ve known Dale since I was just a puppy in the business. I learned to can beer at his place and have stayed at his home with his amazing family many times, I must be sentimental tonite. His crew is pretty awesome too, Jim, Jeremy Chad, Tyra, Anita…the list goes on. I’d probably say we’d need to brew with Maui Mokka from MauiGrown Coffee. I bring a large bag for Dale at GABF each year. You recently launched Maui Stone Craft Beverages to distribute more great craft beer brands to Hawaii. With the majority of the population of the state on Oahu, why did you choose to start on Maui? That’s simple. Its closer to home to manage it and to really get it right. We self-distribute on Maui already so implementation was easier and financially made more sense. Maui is a smaller market giving us that opportunity to develop our systems better and make sure that when we take on our neighbor islands we have the bugs worked out. You can imagine that amount of staff and capital investment trying to start on Oahu would be. That being said, it won’t be long before our MSCB portfolio on other islands. Mahalo in advance for everyone’s patience. I’m really excited for the craft scene in Hawaii. With the new legislation that has opened up quite a bit of opportunity. We’ve long been proponents of more craft beer here. We’re even looking at selling our Lahaina facility as a turnkey functioning brewery. This would give an opportunity for another brewer to startup on Maui. We’ve helped others in the state with equipment, shipping, consultation, etc. We see the scene vastly improving as well with the launch of our joint venture with Stone. With the amazing brands we’ll be supporting there will be many more opportunities to try new great beers and even meet representative from those breweries. 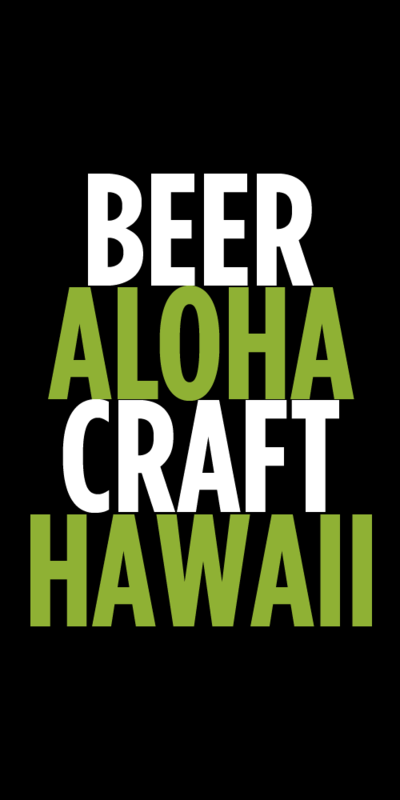 I want to see Hawaii be a Craft beer State, not a ‘green bottle’ one. It’s only fitting for our amazing food culture. Favorite beer to watch a Hawaiian sunset? Depends on the day, I’d say the end of a long construction day like today… gimme a Pils, Pivo, Mama’s Lil Yella, Trumer come to mind… I’ve got all of the above in my cooler. Special thanks to Bryan Berkowitz for the amazing photographs. Check out more of his work on Facebook and here. Tags: Garrett Marrero, Interview, Maui Brewing Company, Maui Stone Craft Beverages. Bookmark the permalink. That was a great interview! Definitely a nice read. And woo hoo to the Pivo shoutout at the end! I so wish we got Pivo here…and everything else you make. 😉 Bummed I couldn’t make it to get some Bretta Weisse.